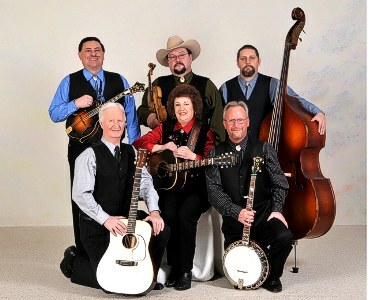 Flashback, newly signed to Pinecastle Records, plans an April 21 release for their debut album, Foxhounds and Fiddles. 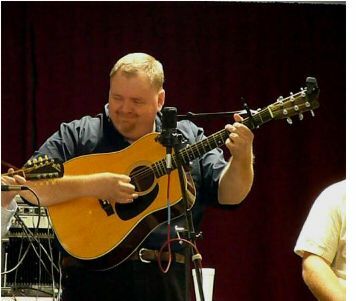 Made up of a gathering of super pickers and entertainers in Bluegrass, Flashback members are Phil Leadbetter, Don Rigsby, Richard Bennett and Curt Chapman. Nashville, TN -- 101 Ranch Records will be releasing the first Band of Ruhks CD tomorrow, a group including Ronnie Bowman, Don Rigsby and Kenny Smith of the acclaimed Lonesome River Band. Originating from a successful Lonesome River Band reunion in 2010, the band’s self-titled, self-produced debut album is scheduled for release on March 17 followed by a reception and performance on Wednesday, March 18 at the Station Inn in Nashville. The album’s lead single, “Coal Mining Man,” features bluegrass legend Dr. Ralph Stanley. Nashville, TN -- 101 Ranch Records has announced the signing of Band of Ruhks, a group including Ronnie Bowman, Don Rigsby and Kenny Smith of the acclaimed Lonesome River Band. Originating from a successful Lonesome River Band reunion in 2010, the band’s self-titled, self-produced debut album is scheduled for release on March 17 through 101 Ranch Records. The album’s lead single, “Coal Minin’ Man,” features bluegrass legend Dr. Ralph Stanley. Don Rigsby and David Thom are currently in the studio working on a duet recording that will feature some very different material for both of these musicans. "I'm excited about it," says Rigsby. "David and I come from very different schools, yet when we explore what we both consider 'new territory' there seems to be a lot of common ground. And that's where we got the title, New Territory, from." Don Rigsby’s Rebel Records album Doctor’s Orders: A Tribute To Ralph Stanley makes its eagerly awaited debut in stores and online today, Tuesday, May 21. “Rigsby has really outdone himself with this reverent yet fun collection,” enthuses bluegrass critic Chuck Dauphin. “Each cut on the disc is nothing short of a delight.” The album features guest artists Ralph Stanley, Ricky Skaggs, Larry Sarks and others. In addition to organizing the album, Rigsby also produced it. San Francisco, CA -- The events of the 14th annual San Francisco Bluegrass and Old-Time Festival (SFBOT) will honor old-time music from the past, highlight hot new talent from the present and glimpses into the refreshing Alt-Bluegrass sounds of the future through performances and dance. The 10-day festival runs from Feb. 7-17 and comprises more than 25 shows at 18 clubs and live music venues around the Bay Area featuring some of the most talented musicians on the Americana and Roots music scene today. Blazing Blue Ridge Bands Concert features Whitetop Mountain Band & Big Country Bluegrass with Don Rigsby at Virginia’s Blue Ridge Music Center June 9 Two of the most popular bluegrass and old-time bands in the Blue Ridge will deliver one of the hottest shows of the season on Saturday, June 9th at the Blue Ridge Music Center. 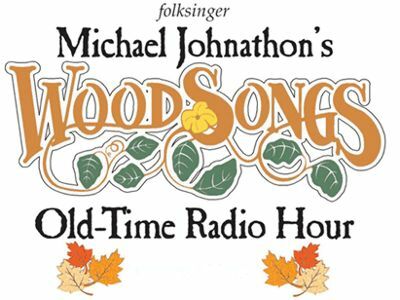 Michael Jonathan announced, "we are celebrating Kentucky Bluegrass with FOUR different groups and a young surprise guest (see the schedule page at woodsongs.com for the artist list). Also, anyone from West Liberty, Kentucky can come for free. This small Kentucky town was literally blown off the map by a tornado last week. Not only will they get free tickets, but a fine new cafe called The Lunch Box will give them a free dinner when they come to Lexington for the show. If you know any folks from West Liberty, pass the word." 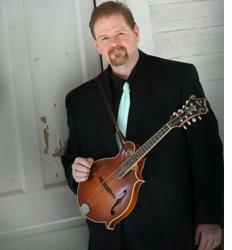 Big Country Bluegrass is excited to announce the newest member to our family, Eddie Gill. Eddie will be assuming the lead vocal/guitar position for the band. Big Country Bluegrass is also very happy to announce the addition of Don Rigsby for about 20-25 dates this year on fiddle and vocals. Don's resume is unmatched and his contribution to the Big Country Bluegrass sound is sure to create some history-making music. In bluegrass music, change is inevitable. Such is the case with Big Country Bluegrass. Three months ago, Johnny Williams left the group to form a new group with his wife Jeanette Williams, and Scott Freeman. The new group is called Freeman & Williams and they've recently released a new CD. Now another long-time member has decided to move on. Jeff Michael has now left the group to persue other interests. Big Country Bluegrass would like to wish Johnny and Jeff much success in the future and to thank them for their enormous contributions to Big Country Bluegrass. We encourage all our friends and fans to support both of them in their new endeavors. 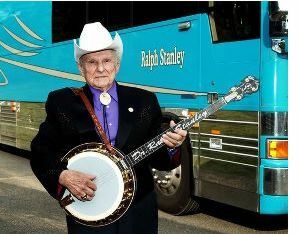 Clintwood, VA -- The Ralph Stanley Museum & Traditional Mountain Music Center will host Dr. Ralph Stanley's 85th Birthday Dinner and Fund Raiser at Heartwood at 6:00 PM on Saturday, February 18, 2012 in Abingdon, VA. Heartwood is Southwest Virginia's Artisan Gateway, situated off Interste 81 at exit 14. Come and be with us to celebrate Dr. Stanley's birthday with Dr. Stanley himself. A first-class buffet-style dinner will be served and much more at this once-in-a-lifetime event! Tickets to the dinner are priced at $100 per plate, and guests may purchase them by calling the Museum & Center at 276-926-8550. Huntington, WV -- The Marshall University Chorus will present The World Beloved: A Bluegrass Mass, at 8 p.m. Friday, Nov. 11, in Smith Recital Hall on Marshall's Huntington campus. 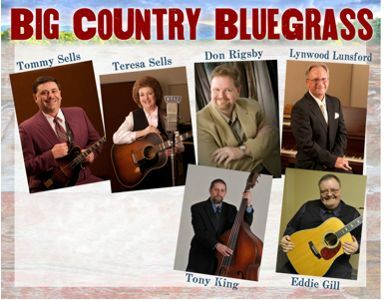 The performance will feature well-known bluegrass performer Don Rigsby and Friends.